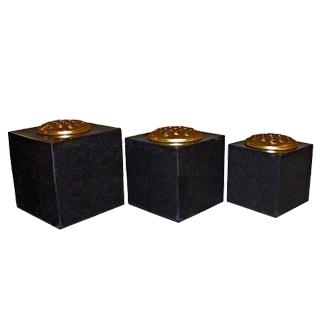 M124 8" X 8" X 8" M125 7" X 7" X 7" M126 6" X 6" X 6"
M127 - Heart Vase shown in Black Granite - available in all colours. 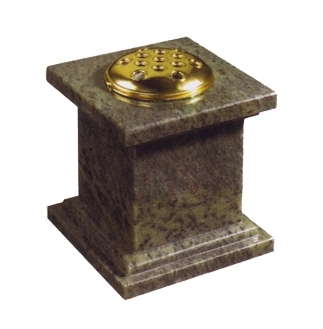 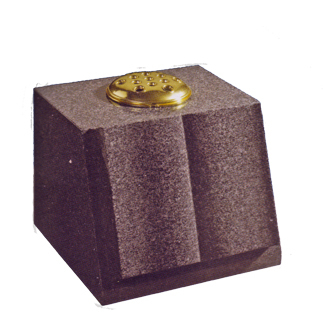 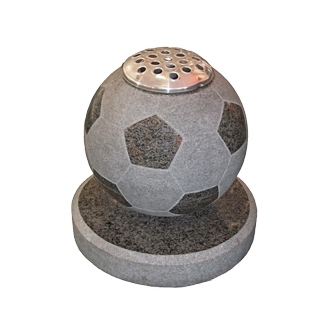 M128 - Football Vase shown in Dark Grey Granite - Granite colours only. 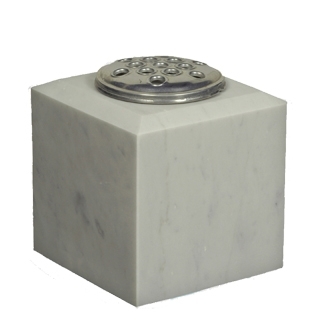 M129 - Rose Vase shown in Carrara Marble - Marble colours only. 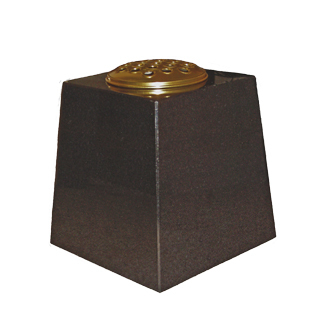 M130 - Tapered Vase shown in Black Granite- available in all colours. 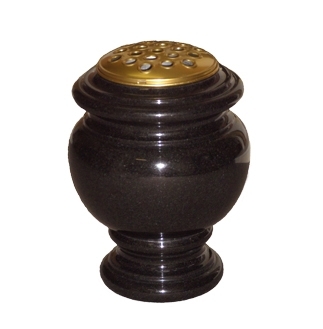 M131 - Carved Round Vase shown in Black Granite- available in all colours. 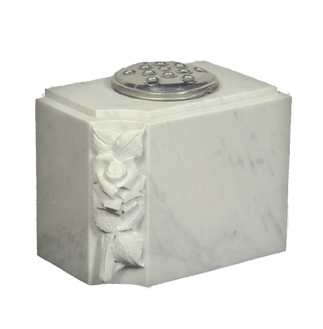 M132 - Vase with Embossed Roses and Ogee Shoulders, shown in Carrara Marble- Marble colours only. 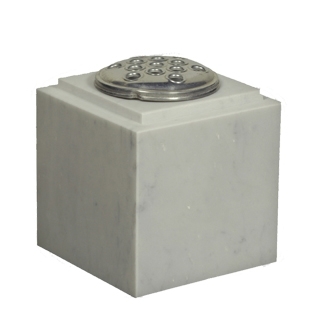 M133 - Check Top Vase shown in Carrara Marble- available in all colours. 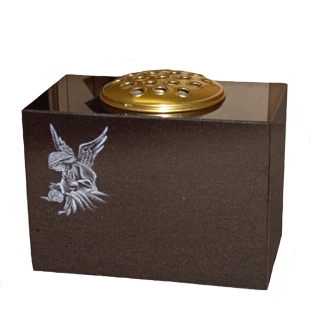 M134 - Rectangular Vase with Angel laser etch design (optional), shown in Black Granite- available in all colours - design only available on Black Granite. 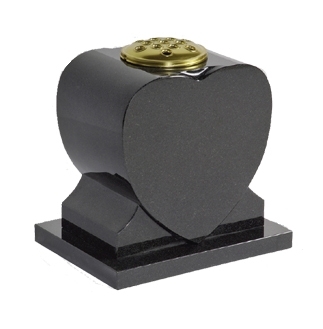 M135 - Open Book Vase shown in Dark Grey Granite- available in all colours. 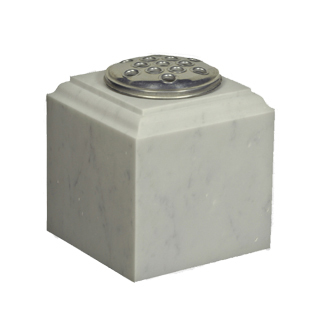 M136 - Champhed Edge Vase shown in Carrara Marble - available in all colours. 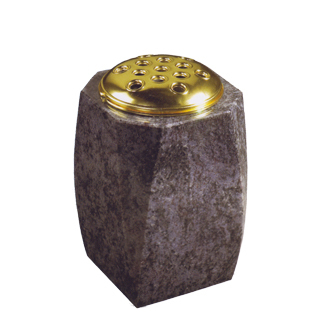 M137 - Barrel Vase with Champhers shown in Bahama Blue Granite- available in all colours. 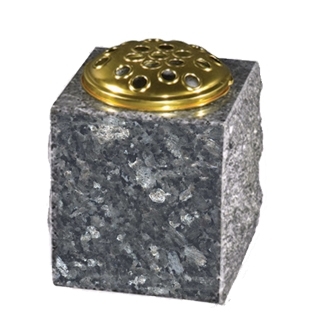 M138 - Rustic Vase shown in Blue Pearl Granite- available in all colours. 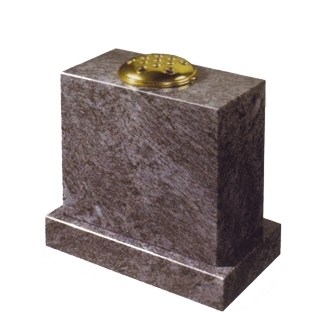 M139 - Tall Vase with base shown in Bahama Blue Granite- available in all colours - This vase can have 2 containers. 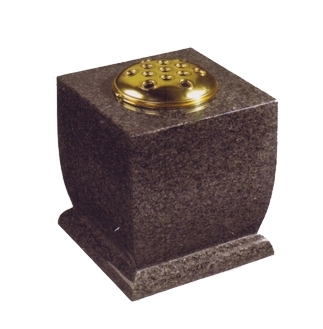 M140 - Champhered Base Vase shown in Dark Grey Granite- available in all colours. 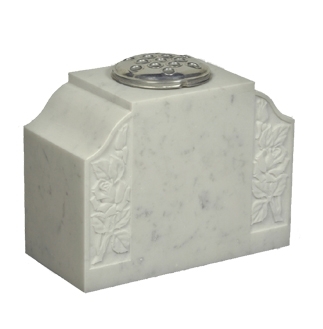 M141 - Ogee Edge Vase shown in Carrara Marble - available in all colours.